Stone & Sedgbeer have been providing a friendly, reliable and courteous plumbing and heating service to our customers for over 40 years. 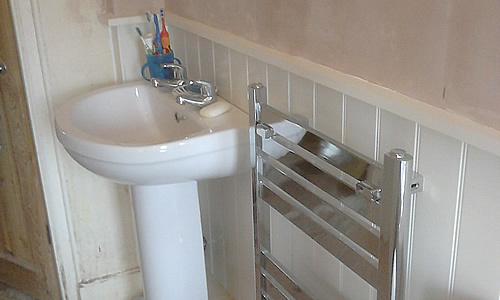 We offer a wide range of plumbing services from a leaky tap to a fully installed bathroom. With the original founders now retired, the family business is run as a limited company by Jon Foxford and Shane Smith who are both experienced plumbers having been in the industry for over 30 years. They are both fully trained professionals and are registered with Gas Safe (4457), OffTec (C4844), Vaillant Approved Installer, Grant-G-One and Water Industry Approved Plumbers. We pride ourselves on our customer focused approach and are pleased to offer you advice in whichever area of our services you require. We offer a wide range of services from a replacement tap washer to installing full bathroom suits including tiling, plastering and painting. We also install energy efficient boilers with a 7 year warranty. All our installation services come with full after-sales services and warranties of between 2 to 7 years. In addition, our prices are very competitive - call us for a free no-obligation quote and compare prices! We can install energy efficient Vaillant (combination, system and vented) Boilers which includes a 7 year warranty. 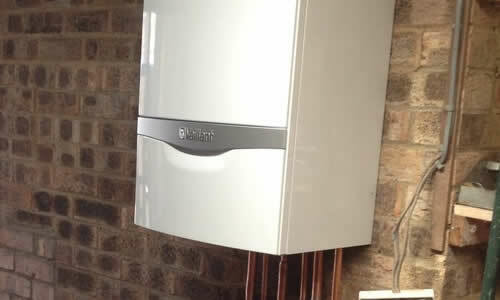 We install Grade A boilers to help save you money on fuel bills and reduce carbon emissions. We can install energy efficient Grant (combination, system, vented, internal and external) Boiler which includes a 5 year warranty. We install Grade A boilers to help save you money on fuel bills and reduce carbon emissions. We use a Fernox powerflushing machine which pumps the water round the heating system at around 2 bar pressure, which catches magnetic particles passing through the system, we then add a cleanser and carry out a process called dynamic flushing in which we flush out every radiator one by one until the heating water clear, we then add a central heating inhibitor to protect the system. We can install full central heating systems and help advice on choosing the best system for your home. 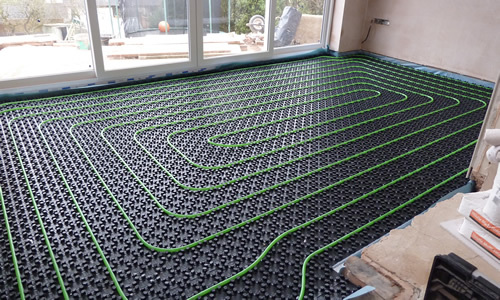 We also provide installation of under floor heating systems. 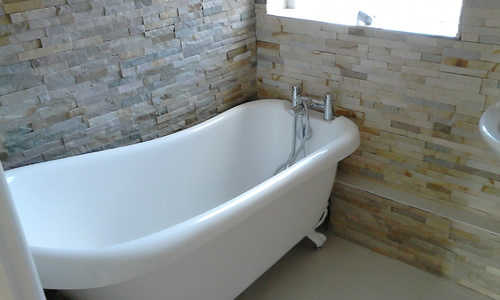 We install full bathroom suits, Wet Rooms with all types of showers, we also include tiling, plastering and painting - start to finish. General plumbing repairs in kitchens, utilities, bathrooms. Hot water cylinders (vented and unvented), cold water storage tanks and unblocking of drains. Copyright © 2019 Stone and Sedgbeer Ltd. Plumbing and Heating Services.